Life, Doctor Who & Combom: BBC Reveal Casting of the Master! BBC Reveal Casting of the Master! The BBC have revealed that Arthur Darvill will be returning as The Master later this year for series 8 for a few episodes. As usual, this came out from a BBC Worldwide arm before coming from the main BBC. (*cough* 50th Anniversary Trailer *cough*) We expect it to be on the main site within the next several hours. 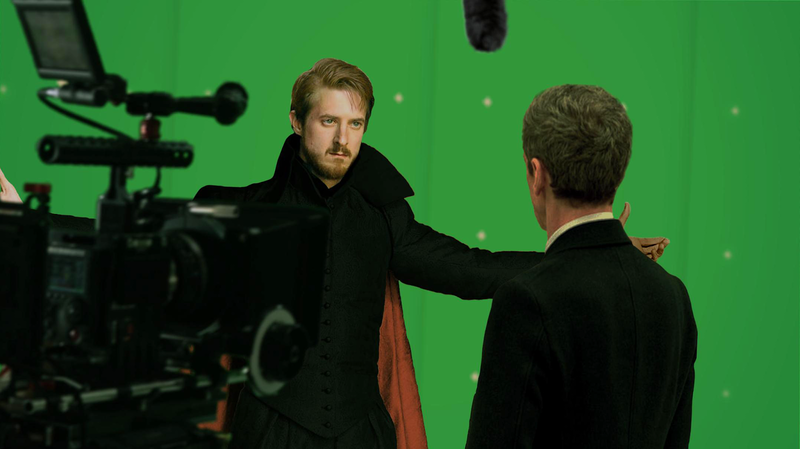 Starring opposite Peter Capaldi, Arthur Darvill will be sporting The Master's iconic goatee while putting his intergalactic forms of control into play, as seen in the pictures also released. Steven Moffat, executive producer, commented on the revelation, "The show is now over 50 years old and we feel it is excellent that we continue the 50th anniversary celebrations beyond the 50th anniversary episode. Doctor Who has always prided itself on finding talent from within its own borders, stretching as far back as Nicholas Courtney with the 1st Doctor. Now, we are delighted to see a guest star and a companion battle against each other." This is not the first time the show has reused an actor who fought alongside The Doctor to become The Master. After Roger Delgado's unfortunate accident, the producers were forced to come up with a new option. This resulted in The Master stealing Tremas' body in The Keeper of Traken. Moffat continued, "Well, remember, the Doctor has a face we've seen before too. A lot of questions about regeneration get answered with the Doctor's new cycle"
Commenting on his new-found role, Darvill said, "It's amazing to be back on Doctor Who. It's different though, Jenna and Peter have been just phenomenal and the Master's such a different role from Rory." It is still unknown as to when abouts series 8 will air, other than it being in the autumn. Edit: Yes folks, this was an April Fool. I'm amazed as to how many of you either thought this was real or an official BBC prank! Ha! With thanks to fellow /r/Gallifrey mod JimmySilverrims for the Photoshoppery. This makes me sad. I legit want this to happen now. Is it an April's fools joke? Or is the joke that they make a big reveal on April 1st? If it's a joke, why doesn't it say at the end that it's a joke??? Nice trick. I was so excited. 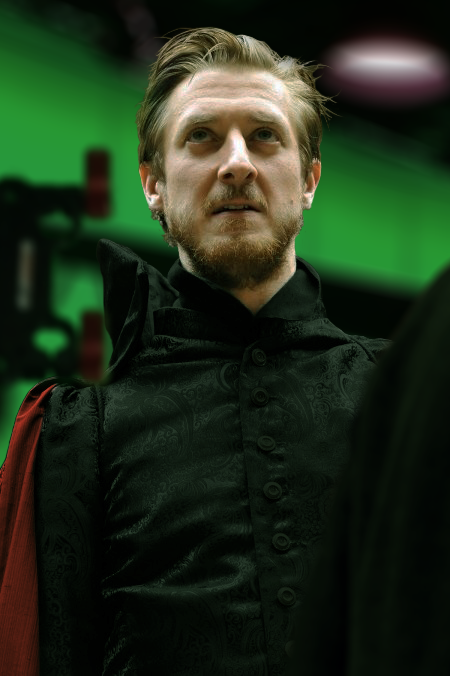 Now, I am so devastated seeing Arthur Darvill as Mephistopheles. This is actually something I would like to see!! I wish this wasn't an April Fools joke. Maybe it ISN'T an April Fools joke. Maybe this is for real, and they are making us think it is a joke. Basically a reverse joke. I wasn't aware that was a requirement for April Fools' jokes. Anyway, the photos are of Arthur playing Mephistopheles in Dr Faustus at the Globe in 2011. It's a joke. Besides, he's currently in a West End musical, "Once". When would he have time to film it? REVERSE THE POLARITY OF THE JOKE FLOW!... Ah, it sounded better in my head, I promise. April Fools - but it would be fun! but now there all gone. I wanted this to be true!